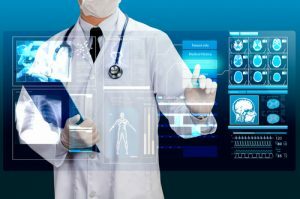 Re-admissions: Is Telehealth the Answer? Summary: Hospital readmissions are of major concern and account for a large portion of preventable healthcare costs. 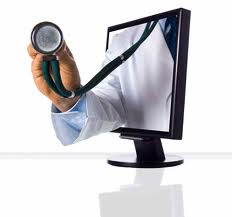 Is telehealth the answer or at least a viable option in conjunction with other alternatives? Hospital re-admissions have become a primary focus as of late. A hospital re-admission is defined as a patient being re-admitted to the same or a different hospital within 30 days of admission for specific conditions. The biggest issue associated with re-admissions is follow up with the patient after he has been discharged. Is he taking his medications as prescribed? Has his condition changed – improved or worsened? Are there events which are triggering the condition to worsen? CMS, as a result of the Affordable Care Act (ACA) has begun penalizing hospitals, which are paid via DRG, and have above average re-admission rates. One way to attract attention is to negatively impact Medicare reimbursement rates for non-compliance. So, we have an major issue (re-admission rates way to high) and we have penalties in place for non-compliance. How do we reduce re- admissions to provide better care for the patient and avoid penalties? One answer is Telehealth. Telehealth is the ability to communicate remotely regarding healthcare diagnosis, treatment, and follow-up. 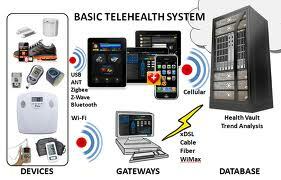 There are many different forms of Telehealth which are being utilized as well as being proposed. T400 Telehealth System enables patients to enter their vital signs on a daily basis. This information is then transferred to their healthcare provider for review and determination of any changes to be made to improve the patient’s condition. Metria Wearable Sensor is bound to the body by adhesives and enables measurements such as heart rate, respiration, and activity levels. Electronic chips have been developed and incorporated into medications. The medications are ingested which sends a signal to electronic arm band to monitor such things as heart rate and temperature. The patient has the ability to choose whether or not to send the results to his healthcare provider. Interactive voice response systems enable patients to be monitored for congestive heart failure. It provides the ability to convey one’s weight and answer a series of questions surrounding one’s symptoms. Blue tooth stethoscopes are utilized to allow a physician to remotely hear the heart beat of his patient. Kiosks may be setup in places such as in which the patient can have access to a medical attendant remotely via videoconference. 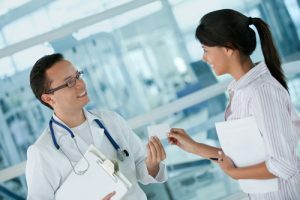 Videoconferencing is also becoming a widely utilized form of telemedicine in which the care giver and the patient can speak and see one another on their computer screen, smart phone, or tablet. 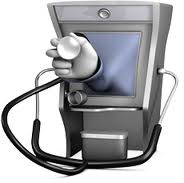 There are a few methods of telehealth which are under consideration and may be utilized in the near future. Smart caps are sensors placed on the caps of prescriptions that send messages to the health care provider that medications have been taken. 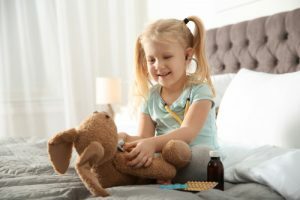 The downside to this method is that it will only tell the provider that the cap has been opened and not that the medication has indeed been taken. For this reason, this method may not be approved by the FDA. Blood glucose monitoring would enable the monitoring of sugar levels and how they react when different foods are eaten. As with just about anything, there is always a downside. The ability to monitor patients remotely is incredible, however, someone has to analyze all of this data. Additional personnel may be required on a 24/7 basis. I think it will work very much like a PCU unit in a hospital where staff is assigned to monitor the status of patients on a continuous basis. 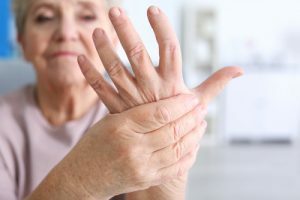 When an event occurs causing the condition to worsen, mechanisms will need to be in place to immediately contact the patient to provide instructional guidance. There is proposed legislation as of March 18, 2013 called the Fostering Independence Through Telehealth (FITT). 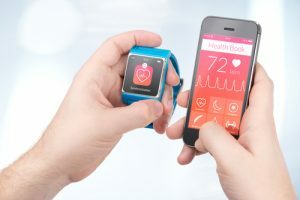 This legislation proposes a budget neutral pilot program to provide incentives to home health agencies to encourage the use of remote patient monitoring (RPM). The intended results are to provide better monitoring for patients, improve health outcomes, and reduce Medicare expenditures. Be on the lookout for further information in regard to this bill as well as new methods of Telehealth.